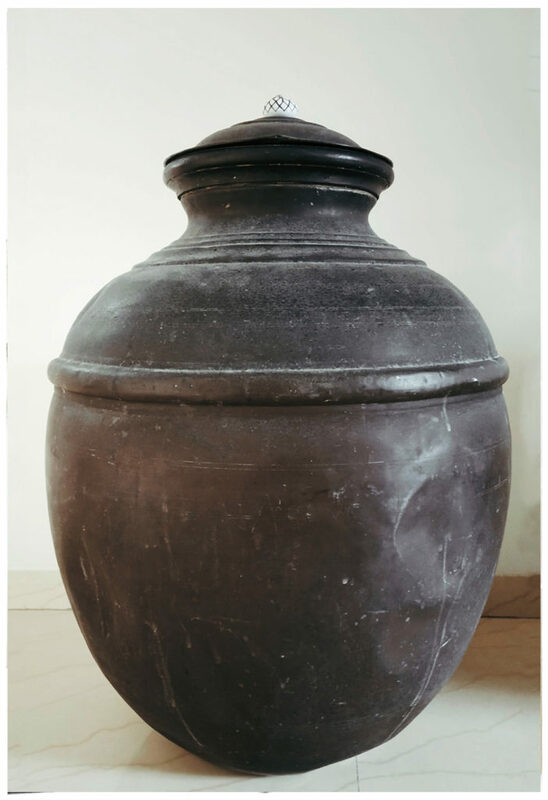 Molded into a large rounded jar, 31 inches in height and 16 inches in depth, this floor-placed vessel is made entirely of brass and was the container that stored the entire family’s stock of sugar. It was known as ‘a chatee’ and had enough capacity to store at least one hundred kilograms of sugar within it. 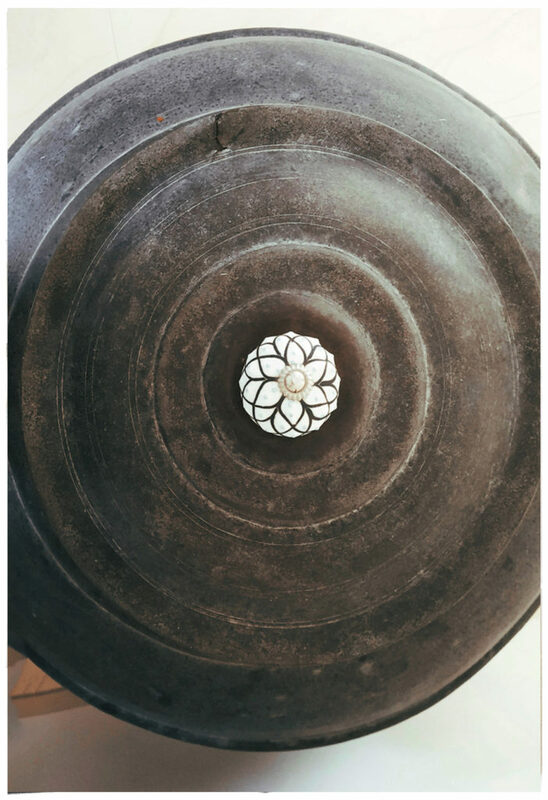 Looking at its uneven and imperfect surface, my grandfather’s sister, Sarla Kapur, who is now 88 years old, tells me that it was handmade especially for the needs of the family, as it is difficult to find containers of this make or style anymore. 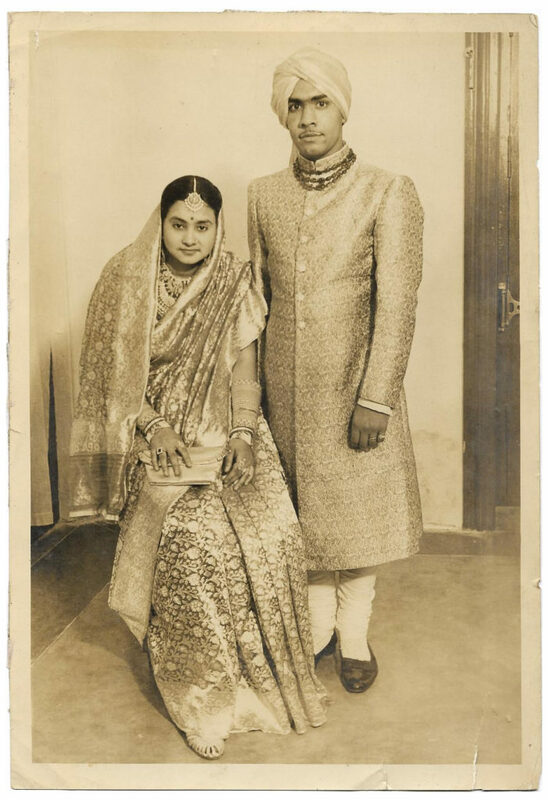 The story goes like this – my maternal grandfather, nanaji, Devi Saran, hailed from Lahore and my maternal grandmother, naniji, Kamla Saran, from Amritsar. 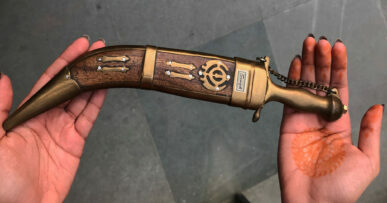 At the time of their wedding in Amritsar in March 1943, naniji’s father gifted this Chatee to the new family she would be marrying into. Subsequently, this Chatee was brought to Lahore and kept in the family home on Nepia Road. Nanaji’s father, my great-grandfather, Binda Saran, had been conferred the title of Rai Bahadur by the British for loyalty to the crown. Unfortunately, he passed away in 1940, much before the Partition, and could not even attend the wedding of his son, Devi Saran. 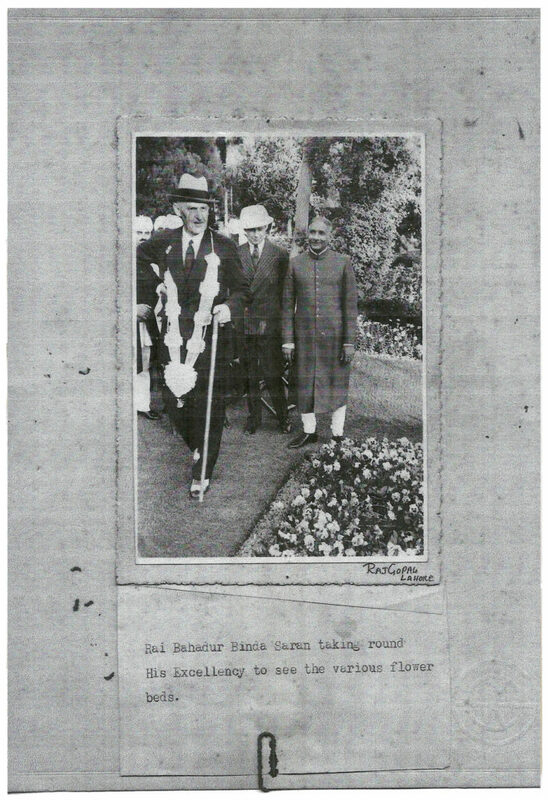 But he was a man of great energy and industrial ventures and held many titles- Treasury Contractor to the Government Postal Department, The North Western Railways, as well as the Imperial Bank of India; Managing Director of the Kangra Valley State Company Ltd; Director of Muree Brewery Ltd, Lahore Industries Ltd, Ambala Electric Supply Ltd, and many other smaller ventures. Binda Saran had also been elected a member of the Punjab Legislative Assembly in 1937. But first and foremost, he was a landowner, and over the years, had built a palatial home for his entire kin and kith. A joint family of over twenty family members, all of whom lived together at 8 Nepia House, Narsingh Das Building, Mall Road. 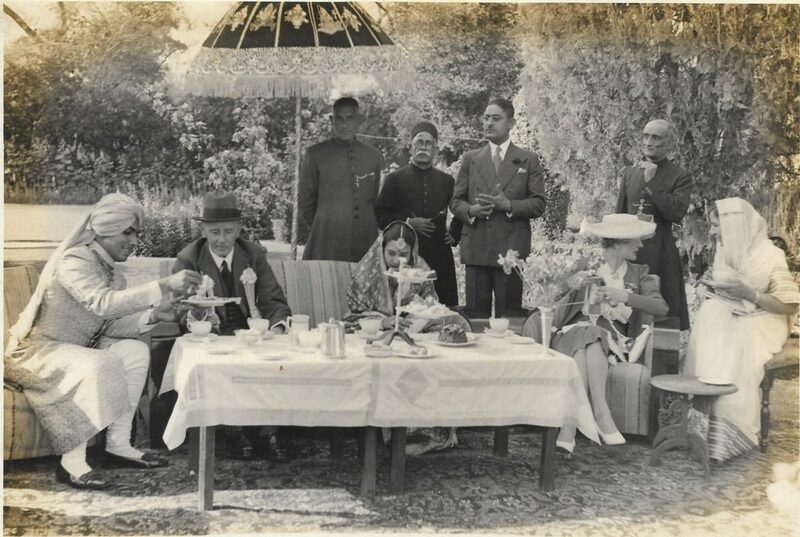 Afternoon Tea at the family’s Garden House on Club Road, Lahore (L- R : Devi Saran, Sir Bertrand james Glancy [Gov of Punjab, 1941- 1946], Kamla Saran, Ganga Saran [wearing spectacles. He is the brother of the then Late Binda Saran], Governess of Punjab. The family would often buy grains in bulk – rice, wheat and sugar- quantities large enough to last them the entire year. In the large house, there were designated rooms for storage, and the Chatee and other barrels used to be kept there. Another interesting fact is the weight of measurement used then was ‘Maund’, where one Maund was equal to thirty-seven kilograms. A story that my nani, Kamla Saran, often recalled about the Chatee was that during World War II, due to the enormous contributions of India to the War effort, there was rationing of many items within the country itself. Some of these items would even be sold in the black market, and sugar was among this list! At the time, a Delhi-based relative used to run a sugar mill and often sent large quantities to the Saran family in Lahore for their consumption. Naturally, the Chatee and many other containers like it would be full to the brim with this sugar. But trouble came when the authorities did rounds around the mohallahs, checking to see if someone had more than their share of ration. Nani would recall the household-help quickly removing the grains of sugar little by little, mixing them with water and literally pouring the precious stock down the drain! A few years later, when partition occurred in August 1947, Devi Saran with his brothers managed to hire a few trucks to carry family members and their belongings across the border. They took only a few items, but were forced to leave much of their wealth behind. However, the Chatee was brough across from Lahore to Delhi in September 1947, packed within the few household items. 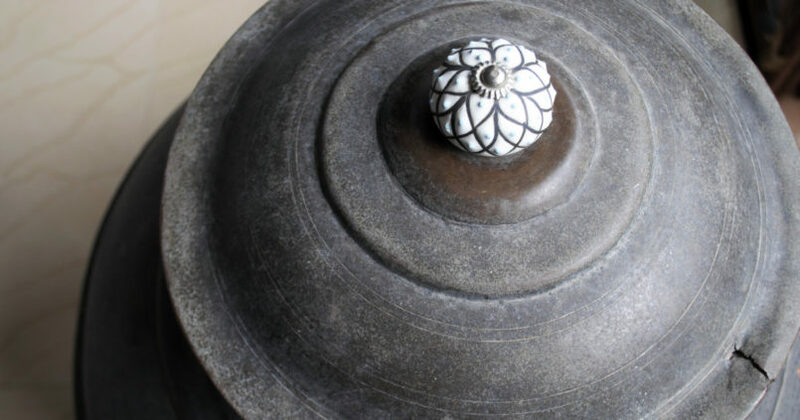 It was carried primarily for its usefulness and capacity in storing large quantities, keeping whatever was stored fresh and insect free since it was made of brass. 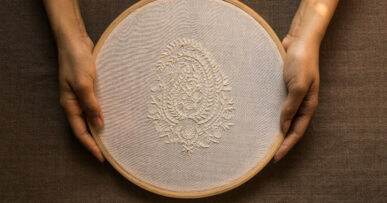 Not to mention the sentimental value to due to its age and being an item from my grandmother’s wedding trousseau. 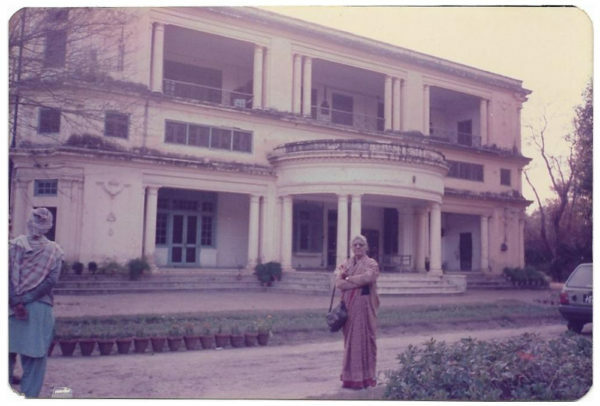 Eventually, in 1948, Devi Saran received a flat in Mumbai in a property claim, and so the Chatee accompanied the family to Mumbai as well. 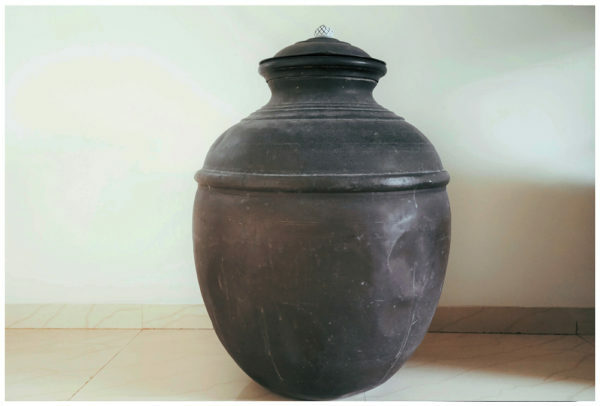 In times of acute water shortage and when tanks were not yet fitted in their apartment building, the antique vessel has also been used to store water to aid in the family’s kitchen chores. Today, It is kept in the same home in Mumbai that my grandparents lived, and belongs to their son, my uncle. It is used and preserved as a decorative piece in the hallway. Its color has endured, as have the dents and depressions, which could have occurred while transporting it across the border. There is also a deep crack on the cover of the vessel. 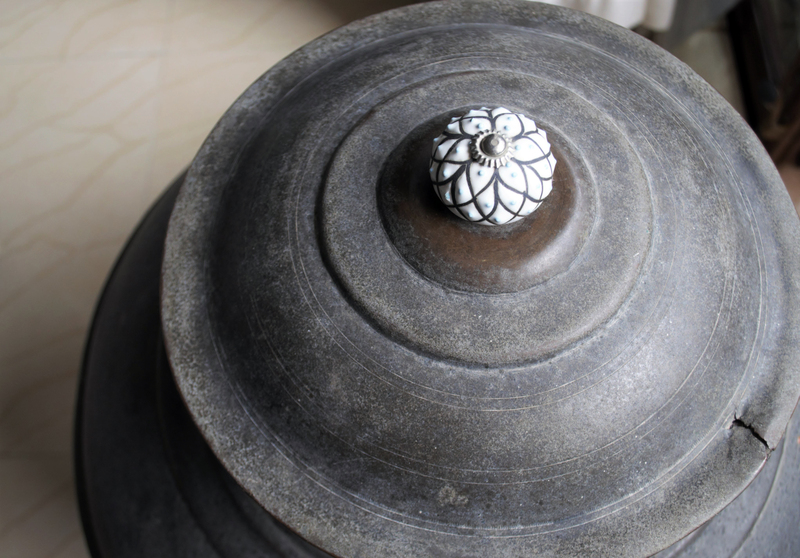 Till date, it has never been polished so as to preserve original texture and finish. 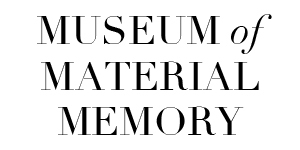 Four generations of the family have used this object, which both in memory and in physicality, is one of a kind. Maybe it’s because of the stories I’ve heard from my grandparents about it, or maybe its just the vintage look of the vessel, but it transports me back into history. It teaches about the grandeur that my family once lived in- a lifestyle that would impossible to reproduce once they were displaced because of the Partition. It is reminiscent of abundance and comfort; a living memory of a once royal life in Undivided India. 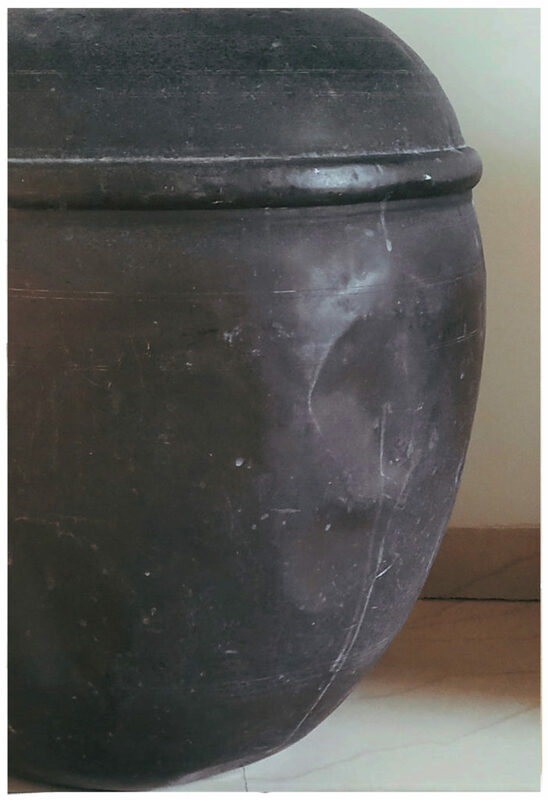 Chatee, a large rounded jar, 31 inches in height and 16 inches in depth, used to store sugar.